A packed Student Assembly meeting of over 250 students overwhelmingly passed the following motion. We are hugely grateful to the sabbatical officers and all the students who attended for giving us such amazing support. This fight is for all of us! University leaders have proposed significant detrimental changes to the agreed terms of the USS (Universities Superannuation Scheme) pension scheme – both to the staff contribution, and the subsequent pension that is received. Universities UK reported that the changes to the scheme would mean dropping the current ‘defined benefit’ pension; staff will no longer have an assured pension after retirement. UCU, negotiating on behalf of their members, estimate that a typical lecturer would be more than £200,000 worse off over the course of their retirement under the proposals. Proposed changes to the pension scheme also mean that someone starting work today could lose £9,600 a year from their pension. This will push lower and working class lecturers out of academic institutions, effectively socially cleansing the sector. NUS (National Union of Students) and UCU (University and College Union) have united in calling for university leaders to engage in open, faithful and constructive negotiation for as long as it takes in order to resolve this dispute, as a matter of urgency. 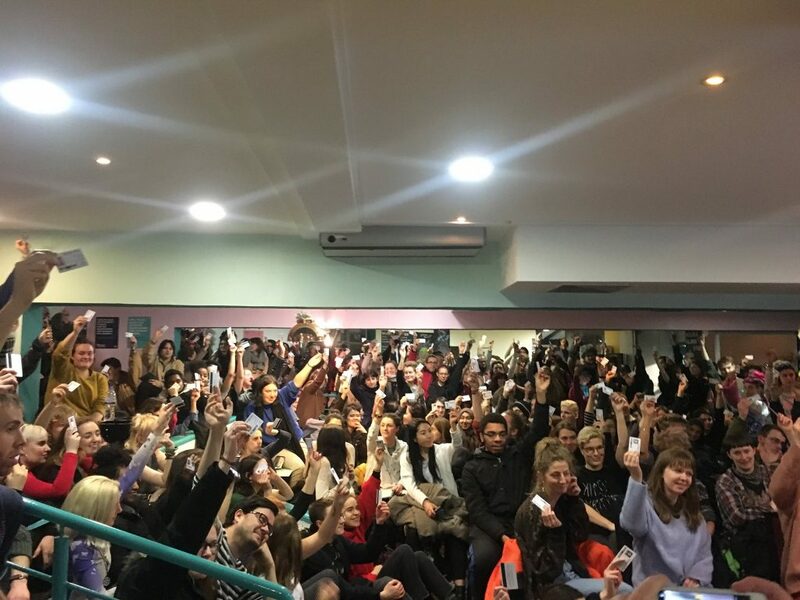 UCU balloted its members on the prospect of industrial action, with Goldsmiths UCU branch voting 95.4% yes; one of the highest votes for strike action in the country. UCU plan to take sustained and incremental strike action to fight against these changes, to take place on 22-23rd February, 26th-28th February, 5th-8th March, and 12th-16th March. Proposed changes to the USS pension scheme is risking the financial future and security of our lecturers. That the proposed changes to the USS pension scheme is classist, and acts entirely in the interest of the company itself, not its members. UCU Goldsmiths reached out to our warden, Pat Loughrey, to stand up and speak out against the proposed changes, but he has failed to do so. This strike has come at the fault of our management team; it is a decision that our lecturers have been forced to take in order to save their future, and the future of higher education. Goldsmiths belongs to the University of London; it is no excuse to say that Goldsmiths’ warden speaking out will lack value or impact. Our warden must stand up to the progressive institution that he markets us to be, and speak out against the detrimental UCU cuts. To support the UCU and NUS united fight against proposed changes to our lecturers pension schemes. To support any action that our lecturers will take in the fight against the changes to their pension scheme. To encourage Goldsmiths students to be in partnership with their lecturers in the fight against these changes – impact on the lecturers will consequently impact the students. We must be united in our fight against cuts to the higher education sector. To encourage students not to cross the picket line. To redirect students to other alternative study spaces that are not behind the picket line. To ensure that the library and art/design studio spaces are not behind the picket line. To be completely transparent with students during the entirety of the strike; keep them informed on the current situation, how they can take action, and how they can be supported. To seek ways in supporting both staff and student interests during any time of staff action against the pension cuts. To directly contact the warden on coming back to the negotiation table, and standing against the USS cuts.